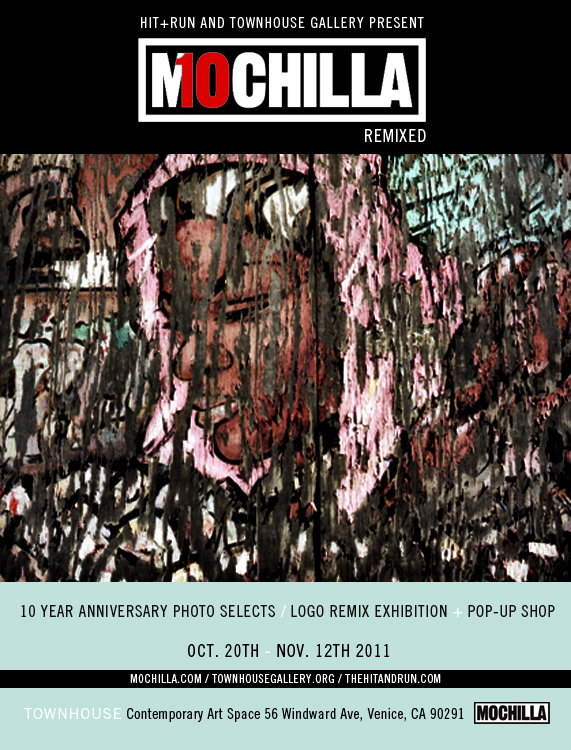 If you dont know MOCHILLA is a Record Label that has been putting out great music and putting on some of the best live shows for the past 10 years now and when I was asked to be apart of their 10 year anniversary show I didn't think twice to accept the offer. I live off of music and feel that music is an important component in our daily lives so MOCHILLA thank you for the hard work. I will try my hardest to make it out to the show but If you don't happen to see me at the show please take photos and support however you can. All the info on the show can be found HERE and please tell anyone you know in LA who loves great music/art that they have something to do on Thursday night.